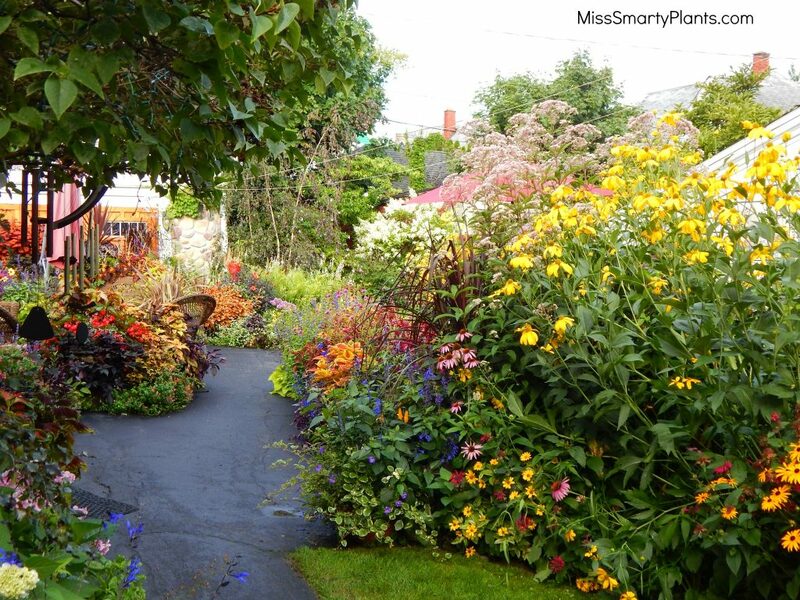 Is it possible that we spend too much time thinking about color schemes and designs for our gardens? 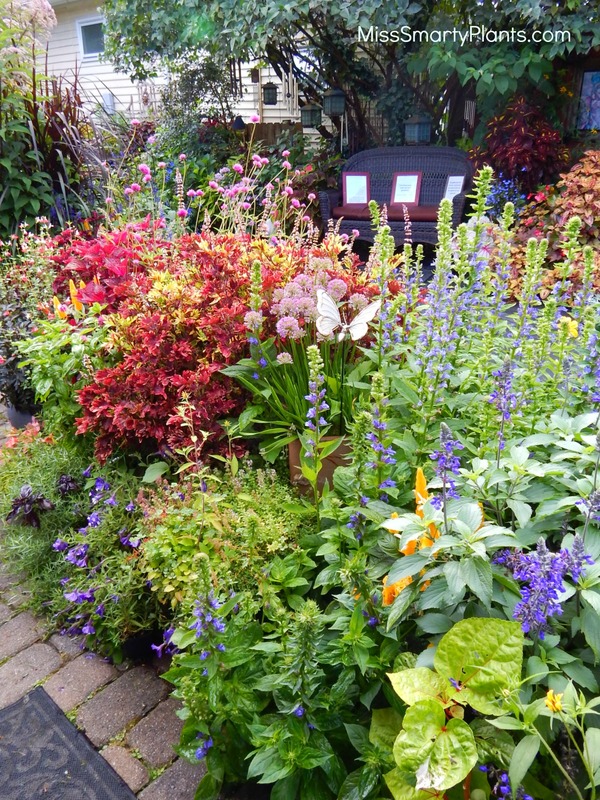 Could colorblind gardening be the next trend for gardeners? 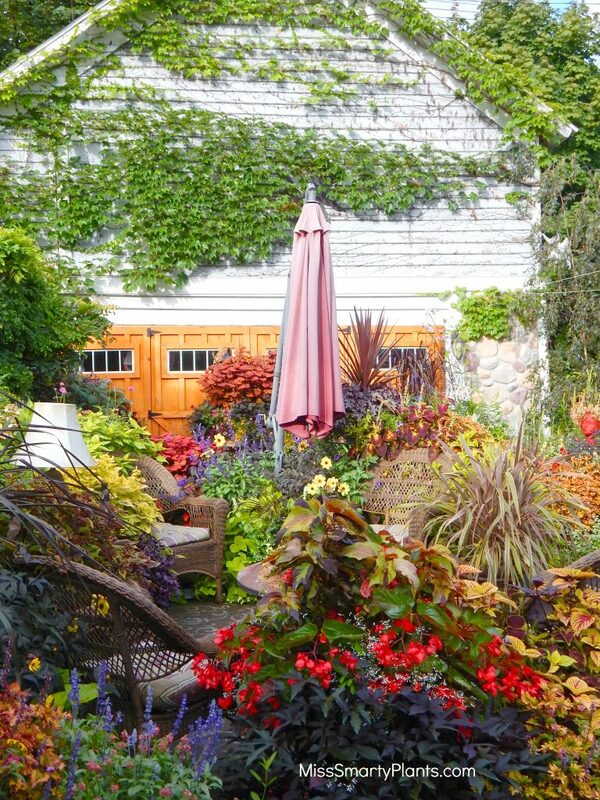 Last summer I had the pleasure of attending the Garden Writers conference in Buffalo, New York. Have you been to Buffalo recently? It is wonderful! 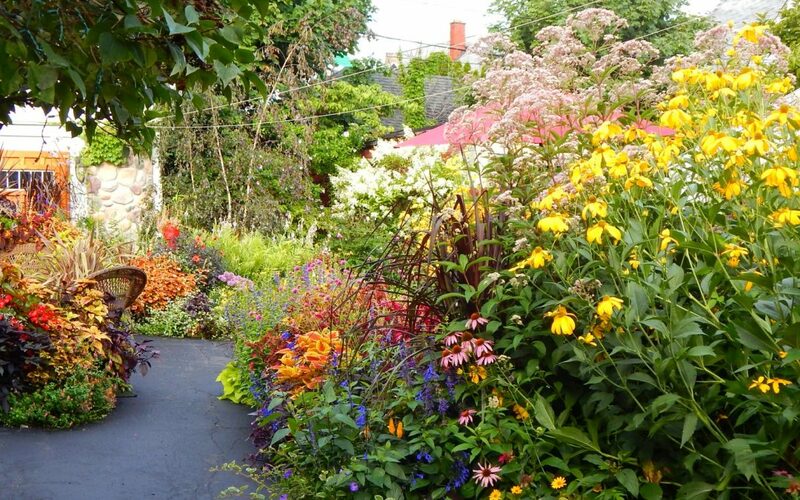 Garden Walk Buffalo is America’s largest garden tour and gives you the opportunity to snoop, I mean explore, private gardens across the city. Colorblind people make the best gardeners. Joe, the gardener here has a major color deficiency. Hope you can’t tell! I would say that Joe’s colorblind gardening should give us all inspiration. 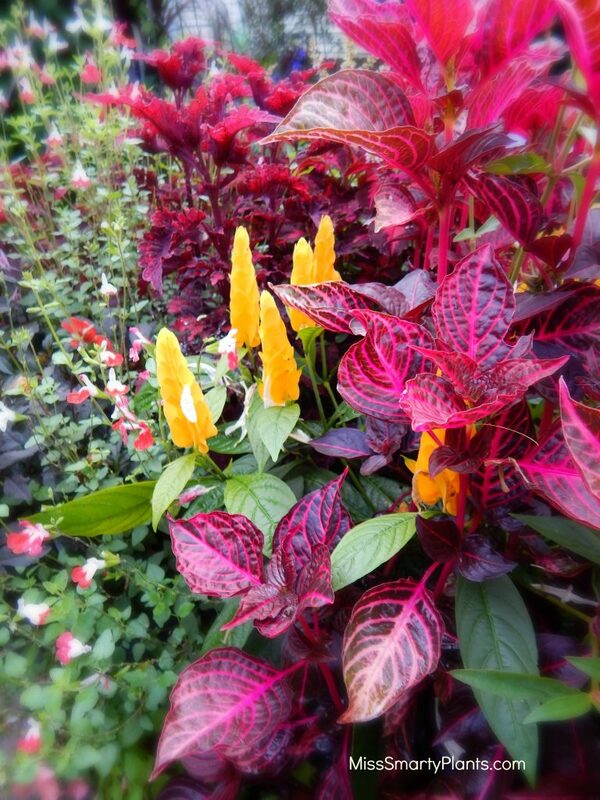 Pulling together the brightest, happiest plants you can find into a single space can only exude one feeling: happiness. I loved experiencing this garden. I found myself walking around with a huge grin on my face and realized the other folks visiting might think I was a little crazy. 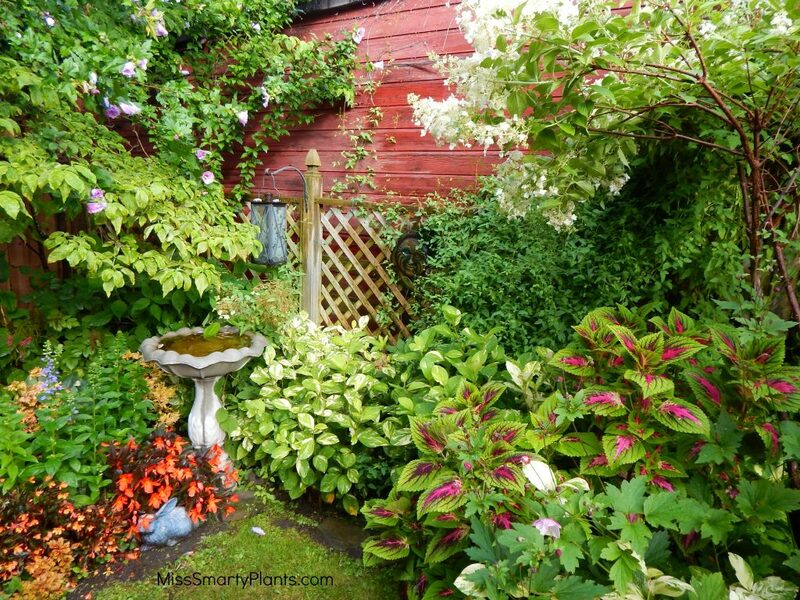 That’s the emotion this garden makes you feel. Another sign reads: This garden has over 150 pots. Each is planted with annuals every year. What?! 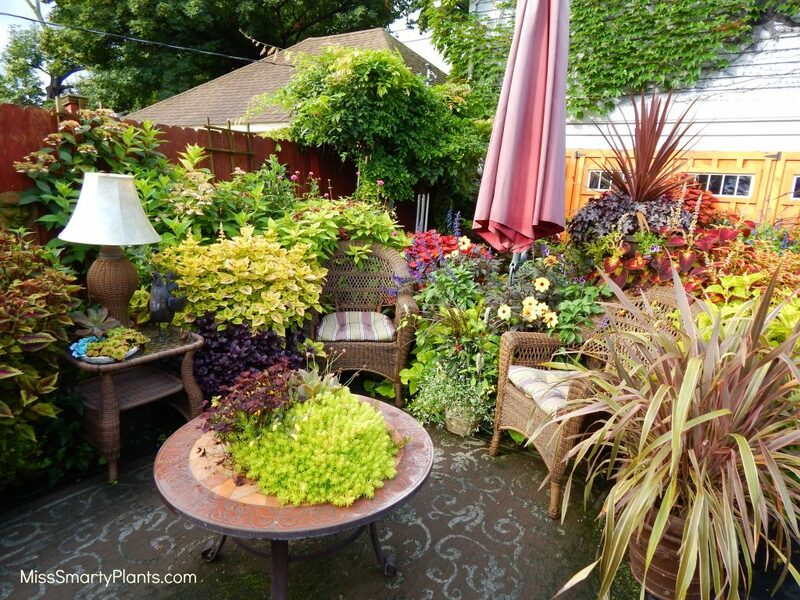 By the time of my visit in early August you couldn’t even see the pots under all of the foliage. If you decide to attend Garden Walk Buffalo, and I highly recommend you do, this garden is part of the Block Alliance of 16th Street. Oh how nice it must be to sit out here in the evenings! Many times I’ve looked through my hundreds of photos from Buffalo and I inevitably stop to look at the images from this “colorblind garden”. Oh what fun he must have! We would like to take this time to thank you for this wonderful post of our yard,and thank you for coming to Buffalo Gardenwalk . It was my pleasure. I loved it and thank you for letting us visit. I would be happy to do so! Can you email me your address to keribyrum(at)gmail.com? I have been a Garden Walk visitor for three years. I remember reading the sign about the 150 annuals in pots. Your fortitude is appreciated and loved Joe. And like the author of the article, I cannot stop smiling when touring the beautiful gardens. Always in awe of the ideas implemented.